What can I do when I start to copy the disc it states there is no enough free space? Q: What can I do when I start to copy the disc it states “there is no enough free space”? A: That means there isn't enough space on the temporary folder. 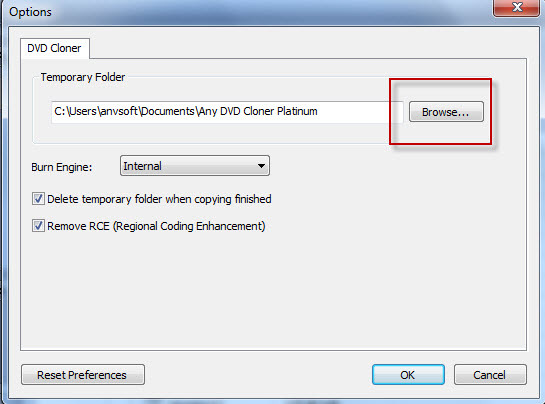 Take Any DVD Cloner Platinum as example, click Options icon on upper right of the program interface, change Temporary Folder to a different folder with sufficient space, the problem should be resolved. 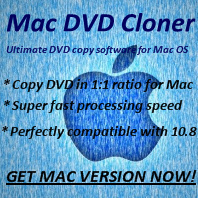 For Any DVD Cloner, please click "Settings" -->"Options...", then change Temporary Folder to a different folder with sufficient space.